When he began his research for “Chromatic Homes: The Joy of Color in Historic Places,” James I. “Hans” Gilderbloom was studying “painted ladies” — Victorian houses with three or more colors that embellish architectural details, most notably found in San Francisco. 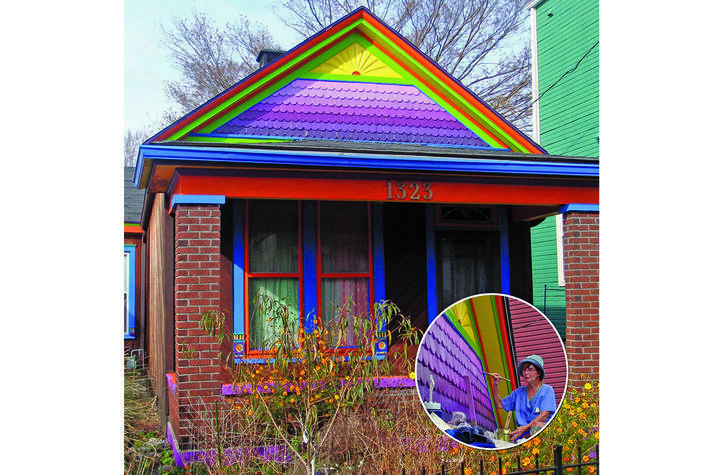 During the course of his work, however, he noticed a broader trend of colorful homes that were not necessarily Victorian or multi-colored, but had a similar impact, both visually and within their neighborhoods. To talk about this trend, Gilderbloom coined the term “chromatic homes” to encompass the bright, joyfully decorated houses that are widespread and diverse, ranging from New Orleans to Amsterdam in the Netherlands. He documents not only where these homes can be found, but also the impact they have on their neighborhoods and cities. Gilderbloom’s study of chromatic homes started in San Francisco with the painted ladies that have become a hallmark of the city’s appeal, but it did not stop there. He focuses the bulk of his attention on what he terms the five sister cities of chromatic homes. Aside from San Francisco, there is Louisville, also home to numerous painted ladies; Miami and its art deco homes from the 20s and 30s; New Orleans’ colorful shotgun homes; and Cincinnati, where color was used to revitalize a largely abandoned neighborhood. The same spirit of revitalization is found across the Ohio River in Covington, Kentucky, where 100-year-old buildings were renewed with color. Gilderbloom also outlines an older, international tradition of colorful buildings such as St. Basil’s Cathedral in Russia as well as homes in Cuba; Burano, Italy; and Arles, France. Chromatic homes brighten a neighborhood, but can also have non-aesthetic effects on their communities. The conventional wisdom is that colorful homes do not sell, but as Gilderbloom shows, vibrant paint can generate higher property values for the owner and the neighborhood. They can revitalize communities that have started to fall into disrepair and bring new life to neighborhoods that are being deserted. For instance, Louisville turned around a dying neighborhood by painting the old Victorian homes bright, inviting colors. The positive effects of chromatic homes are not just limited to property values. This type of individual expression has been shown to make people happier and healthier, and even just one house becoming a chromatic home can spark a change for the better throughout a neighborhood. 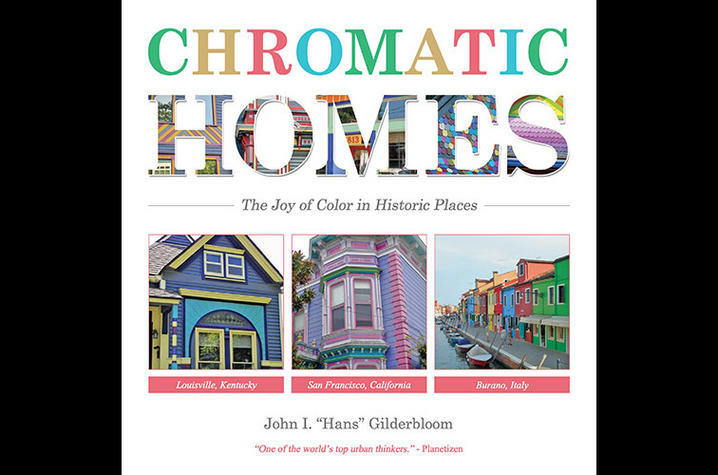 Gilderbloom goes beyond the tightly focused concept of the “painted ladies” to open up a new area of observation and study in “Chromatic Homes,” distributed by University Press of Kentucky. There is still much for experts to explore and learn about chromatic homes and the impact they can have on communities and residents. Chromatic homes not only provide opportunities for researchers to learn, but also for homeowners who wish to bring new life to their homes. Gilderbloom has shown that chromatic homes are joyful representations of self and community that can rejuvenate neighborhoods struggling with abandonment and bring new, creative energy to their area. The value that chromatic homes bring and the possibilities they present are well worth the cost of the paint. John I. “Hans” Gilderbloom is a professor at the University of Louisville, where he also directs the Center for Sustainable Urban Neighborhoods. Considered one of the foremost urban thinkers of our time, he is the author of five books, 55 scholarly articles, and op-eds in The Wall Street Journal, The Washington Post and Los Angeles Times. University Press of Kentucky, currently celebrating its 75th anniversary, is the scholarly publisher for the Commonwealth of Kentucky, representing a consortium that includes all of the state universities, five private colleges and two historical societies. The press’ editorial program focuses on the humanities and the social sciences. Offices for the administrative, editorial, production and marketing departments of the press are found at the University of Kentucky, which provides financial support toward the operating expenses of the publishing operation through the UK Libraries.